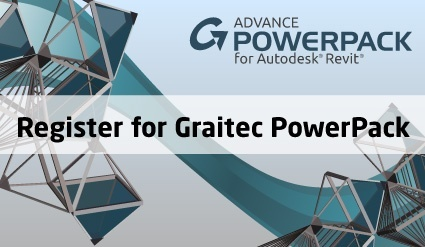 This is the last Graitec Advance PowerPack for Revit blog post in the series. In this blog I will go over the 'Move XY', 'Window Sill', 'Stair Line' and 'Arrange' tools. If you've missed any previous posts then take a look at our BIM & Architectural blog page today. If you need to move a family in both the X and Y direction at the same time, you can't do this with the general move command in Revit. The user will need to move it in one direction (i.e. x plane), then start the command again and move in the other direction (i.e. y plane). So we have introduced a nice tool called Move XY. This tool allows the user to select the family on screen and move it in both X and Y plane at the same time. The Window Sill tool allows you to select one or more windows in your view and place a tag highlighting the sill height. You also have the option to add the opening height as well if required. When a stair is modeled in Revit it only adds an arrow up to the break line. Using the Stair Line tool it will add an arrow to each flight of the stair. Once you have placed your views onto your sheet and you need to arrange them, this is still a manual process. Using the Arrange tool this helps align horizontally, vertically or by a line on a sheet to all the selected viewports. To watch the tutorials for 'Move XY', 'Window Sill', 'Stairline' and 'Arrange' head over to our Graitec Advance PowerPack for Autodesk Revit 2016 blog post.